Camera in a car? What’s that all about? Because this technology is constantly evolving, you should stay familiar with the different camera systems available on Ford vehicles. Remember, a thorough explanation and demonstrations of features such as these will enhance a customer’s ownership experience. When in reverse, this camera provides a view of what’s directly behind the vehicle. Left and right guidelines show the path of reverse travel and if equipped with “active guidelines” adjust as steering inputs are made. Green, yellow and red bars will appear and show the driver how close the vehicle is getting to an object. On select vehicles, a dynamic center-line is included to assist the driver in guiding the vehicle’s hitch toward the tongue of a trailer. As steering adjustments are made, the projected path is shown on the screen. This reduces the need for a spotter or having to get in and out of the vehicle to check position. The instrument panel button allows a driver to chose from two types of views: Normal View and Split-Screen View. This provides an expanded view which in turn allows the driver to see obstacles to left or right. Just like with the 180-degree camera, the instrument panel camera button will allow a driver to choose from a variety of views: Normal, Split-Screen and 360 view. This allows the driver to see what is in front of the vehicle which includes a cross-traffic view. The camera will show what is behind the vehicle, including a cross-traffic view as well. 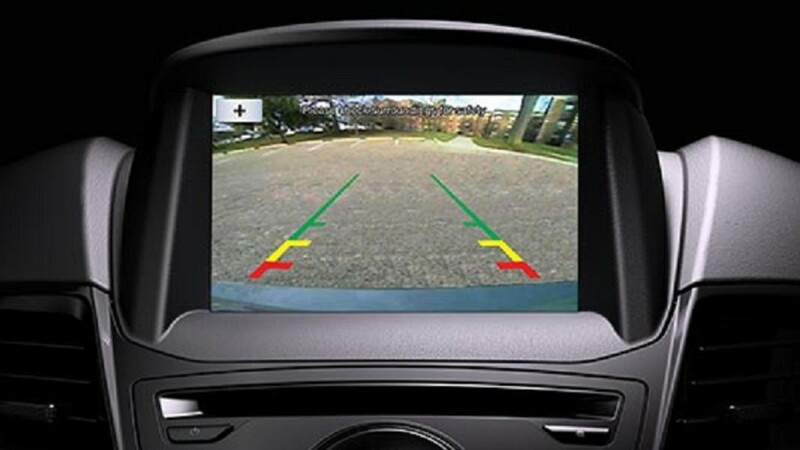 The 360-degree camera also provides a Top-Down view of the exterior that includes blind spots. 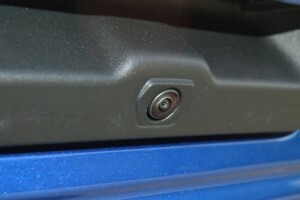 This is an example of a rear camera on a Ford F-150. Call us today so we can personally show you the benefits of owning a Ford car, truck or SUV with a camera-based driver assistance system. We’re waiting to hear from you! 0 comment(s) so far on Camera in a car? What’s that all about?